Fast Burn 30 is an effective scientifically proven method for burning fat, developing muscle tone and improving athletic performance – Fast! Fast Burn 30 uses an exercise methodology known as High Intensity Interval Training which utilizes short and intense workouts in order to burn fat. HIIT sessions can vary from 9–30 minutes and is considered to be an excellent way to maximize a workout that is limited on time. Several scientific studies have shown that High Intensity Short Workouts can have the same if not better results than traditional aerobic type exercises (e.g. Treadmill, Jogging, Bicycling etc.) in much less time. Long aerobic type workouts have traditionally been recognized as being the best method to reduce fat. HIIT is somewhat counterintuitive in this regard, but has nonetheless been shown to burn fat more effectively. One theory suggests that HIIT may boost your Basal Metabolic Rate (BMR) which is a measure of how fast your body metabolizes food or fuel sources (like glycogen & fat into energy. Obviously the higher your BMR the faster you will lose fat (you will become and best of all, your BMR remains high even between workout sessions. High Intensity Interval Training has also been shown to improve athletic performance. A study by Gibala et al. demonstrated that 2 1/2 hours of sprint interval training yielded similar biochemical muscle changes when compared to 10 1/2 hours of endurance training and similar endurance performance benefits. High Intensity Interval Training may also help prevent type-2 diabetes. Recently it has been shown that two weeks of HIIT can substantially improve insulin action in young healthy men. High Intensity Interval training can be performed using a variety of different machines and/or traditional gym equipment, however nothing in the gym is as effective or as versatile as the Russian Kettlebell. A kettlebell is a type of hand weight that looks like a cannonball with a handle. 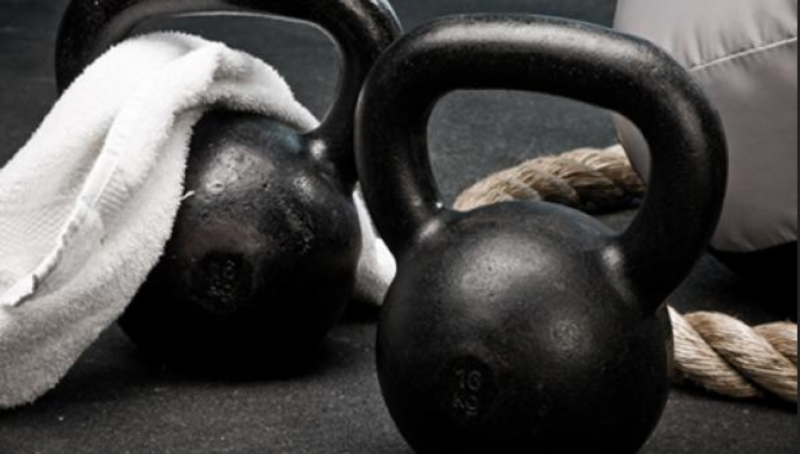 Kettlebells are made out of cast iron and come in a variety of different sizes and weight ranging from a few pounds to more than a hundred pounds. 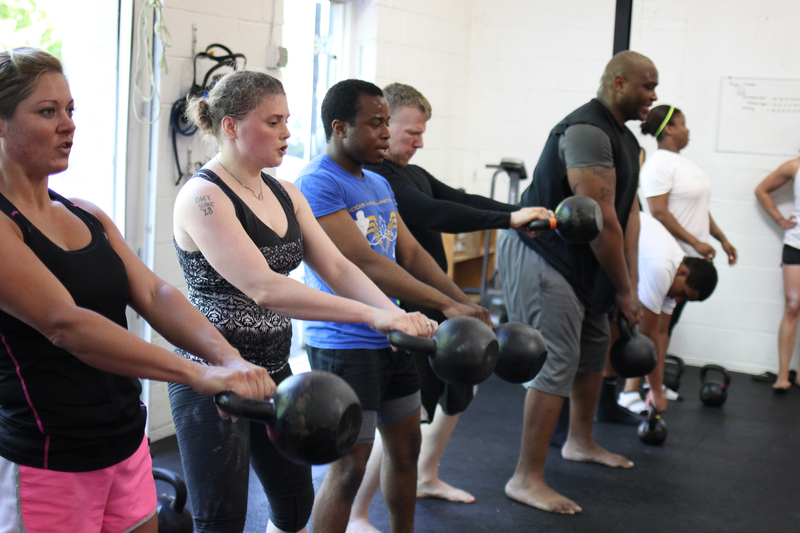 The kettlebell is an amazing exercise tool because it is so versatile allowing its user to practice an unlimited number of different exercises. Kettlebells can be used for pushing, pulling, squatting, swinging, snatching and a limitless mix of all-purpose strength and conditioning exercises. Some exercise trainers call the kettlebell a “The One Handed Gym”. Kettlebells are what we use in our Fast Burn 30 classes to help you shed fat, gain strength and develop that physique that you have always wanted. Kettlebells are used by elite athletes and military personnel throughout the world. Russian military and US special forces are famous for incorporating kettlebells into their training regimes. 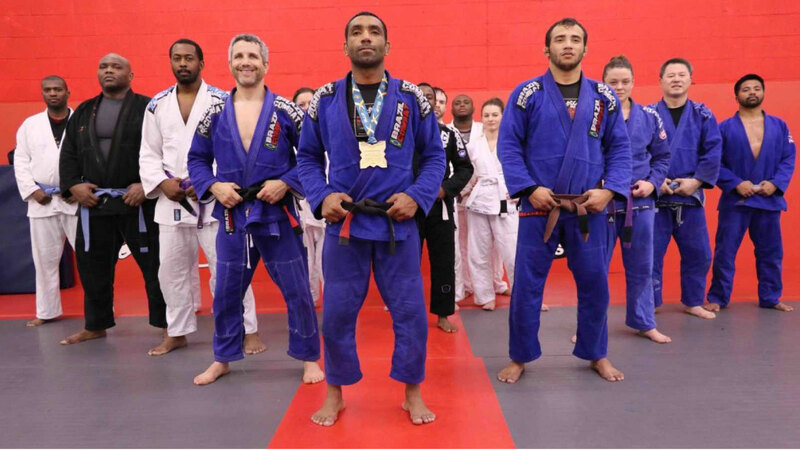 Practically all professional Mixed Martial Arts fighters incorporate kettlebells into their strength and conditioning programs. Kettlebells were even used to help develop the chiseled bodies of the Spartan soldier actors in the movie “300”. 1. ^ Van Dusen, Allison (October 20, 2008). “Ten ways to get more from your workout”. Forbes. Retrieved December 14, 2008. 2. ^ Tremblay A, Simoneau JA, Bouchard C (1994). “Impact of exercise intensity on body fatness and skeletal muscle metabolism”. Metab. Clin. Exp. 43 (7): 814–8. 3. ^ Gibala, Martin J; Jonathan P. Little, Martin van Essen, Geoffrey P. Wilkin, Kirsten A. Burgomaster, Adeel Safdar, Sandeep Raha and Mark A. Tarnopolsky (September 15 2006). “Short-term sprint interval versus traditional endurance training: similar initial adaptations in human skeletal muscle and exercise performance”. J Physiol 575 (3): 901–911 4. ^ Babraj J, Vollaard N, Keast C, Guppy F, Cottrell G, Timmons J (2009). “Extremely short duration high intensity interval training substantially improves insulin action in young healthy males”. BMC Endocrine Disorders 9 (3): 3. Call us at 410-465-7799 to schedule your FREE appointment.